Made of elegant heavy brocade fabric, this challah cover symbolizes the royalty of the holy day of Shabbat. 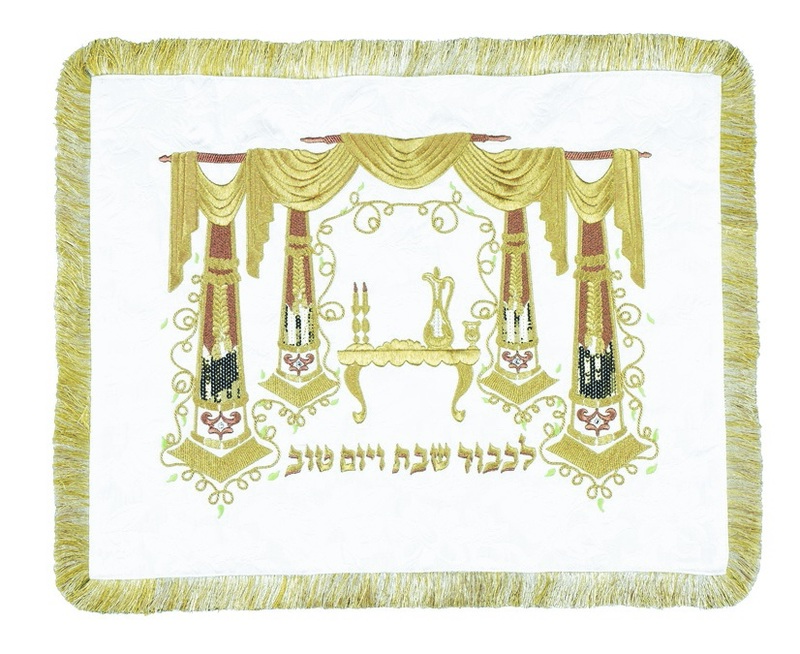 In the center of the challah cover, a beautiful Shabbat table with images of candlesticks and challah bread, wine decanter and a kiddush cup are embroidered. Surrounding the table there are four artistically inspired beams. The top has a golden drape supported on rods hanging down. The Hebrew words “Likavod Shabbat V’Yom Tov”, which means “In honor of Shabbat and Yom Tov”, are embroidered across the bottom of the design. The edges of the challah cover are bordered with elegant gold tassels.